Filed to: I've just wasted a lot of your morning.Filed to: I've just wasted a lot of your morning. 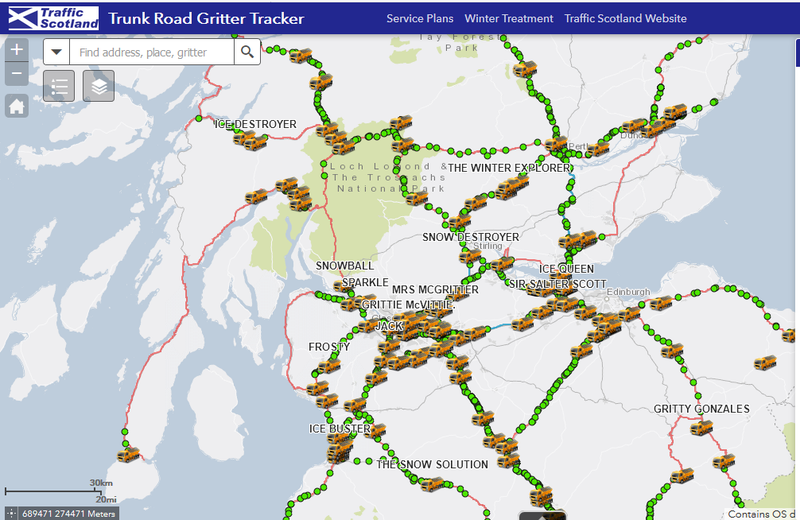 Apparently they name snowplows in Scotland, and the names are awesome. You can live track MR PLOUGH as he grits the roads of Scotland, and check in on his friends SIR SALTER SCOTT and GRITTY GRITTY BANG BANG.